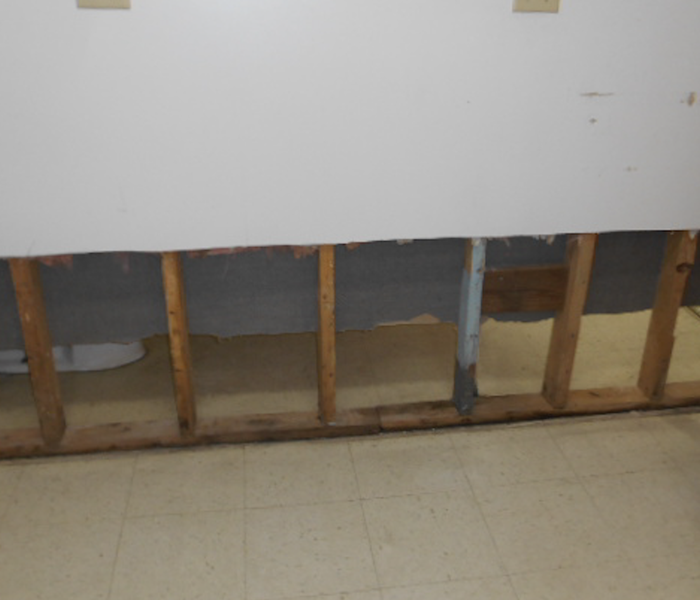 An unplanned water loss event caused water to seep behind the drywall and into the sub-flooring. After stopping the leak, we had to make a cut and remove the damaged drywall and flooring. 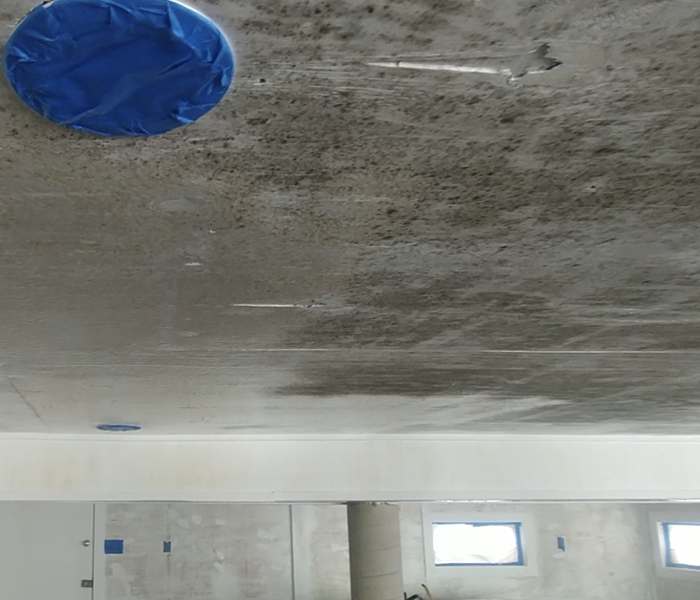 After thoroughly drying the structure, we applied an antimicrobial to inhibit future mold growth. 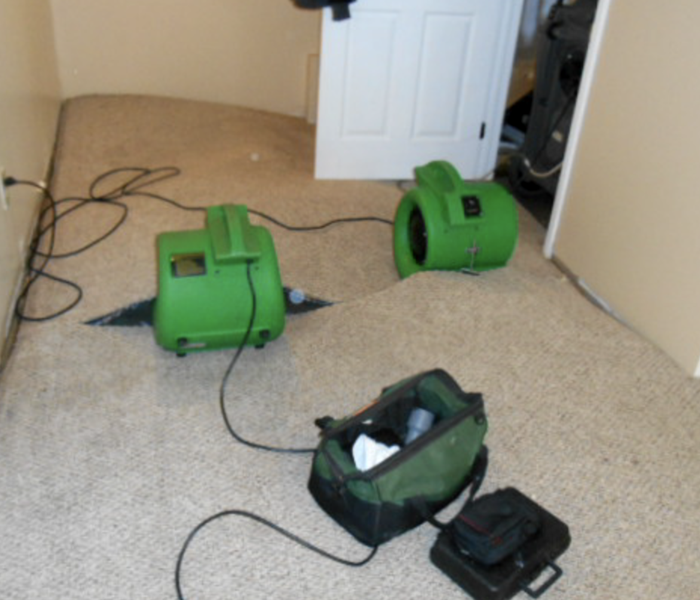 Call SERVPRO of Jefferson County for all of your water damage restoration needs. 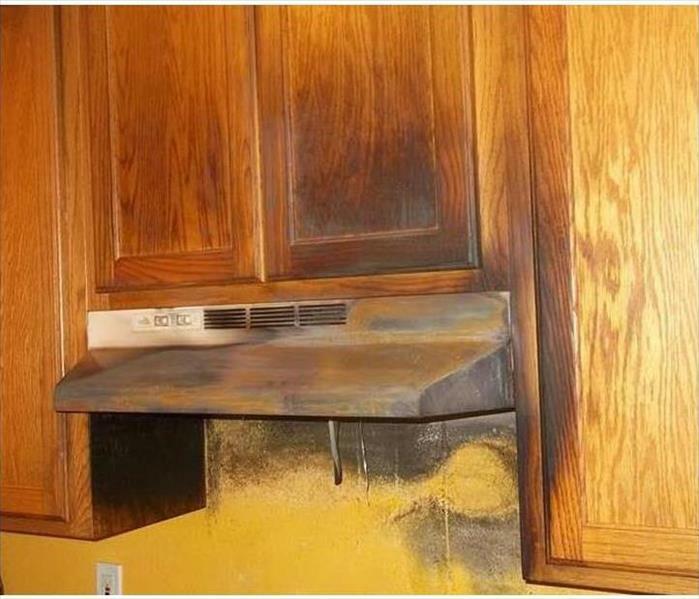 The grease buildup in this Fort Drum area kitchen ignited and scorched the cabinets and wall as illustrated in this Photo. By calling SERVPRO, the homeowner made a wise choice since we try always to restore and not replace damaged fixtures and contents. 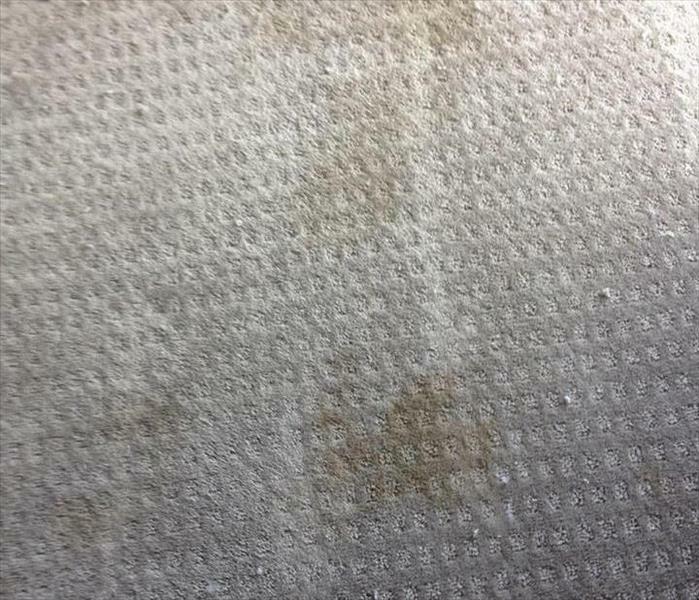 Our FSRT technicians can remove the burned stains along with the pungent odor and prepare this area for a new look. "Like it never even happened." This room suffered from storm water damage. Baseboards were removed and air movers put in place for efficient drying. Contact SERVPRO for your water storm loss in the Watertown area. This was the aftermath of a bedroom suffering from a water loss. 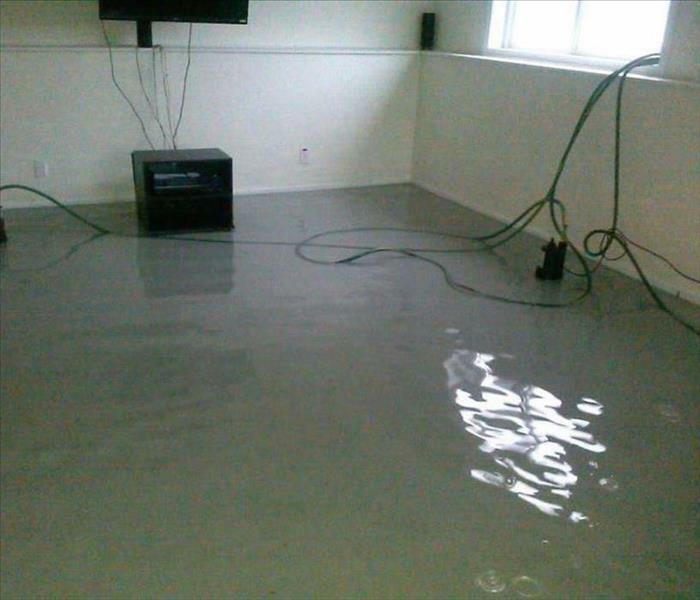 The flooring was covered in water damage. SERVPRO responded and put air movers in place for quick drying to prevent future damages. 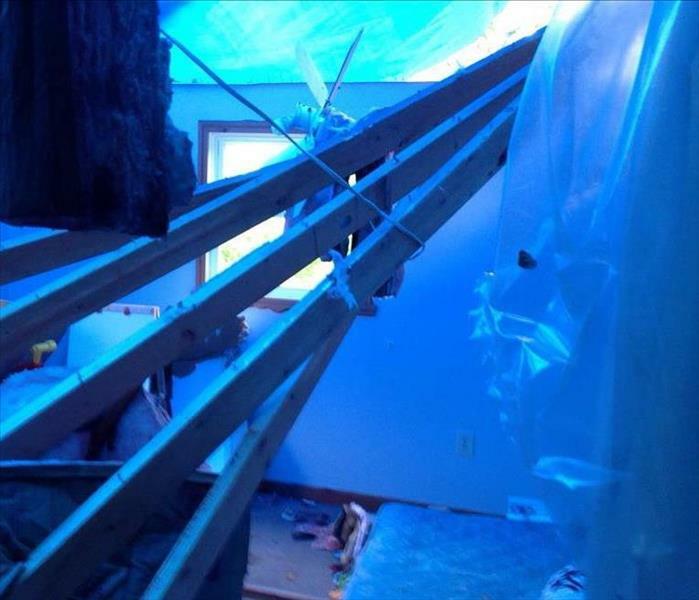 The roof of this home was torn off after a severe storm hit the Watertown area. 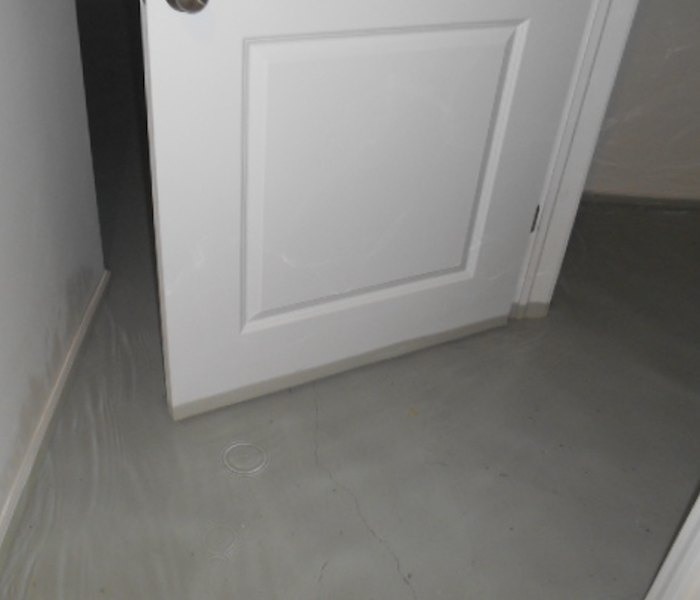 All the flooring and content in the room suffered from water damage. The team at SERVPRO responded and quickly to began clean up procedures. 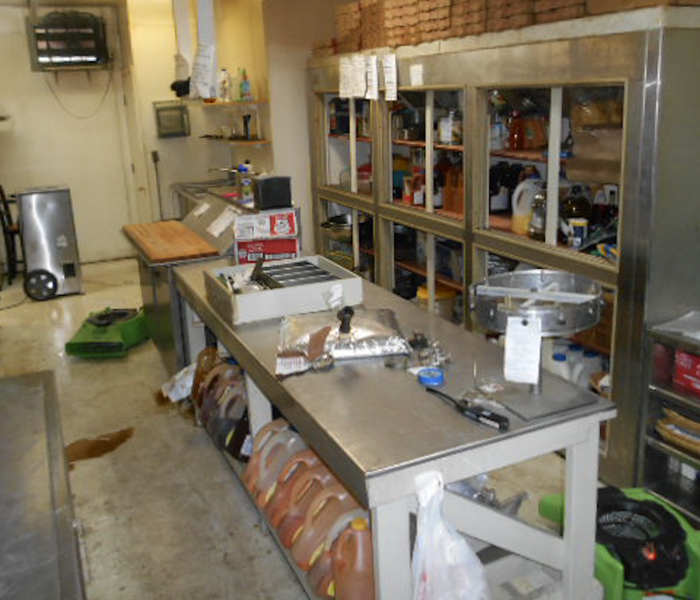 SERVPRO responded to this commercial property to clean and redo their floors. Floors were stripped with solutions to remove a stain. 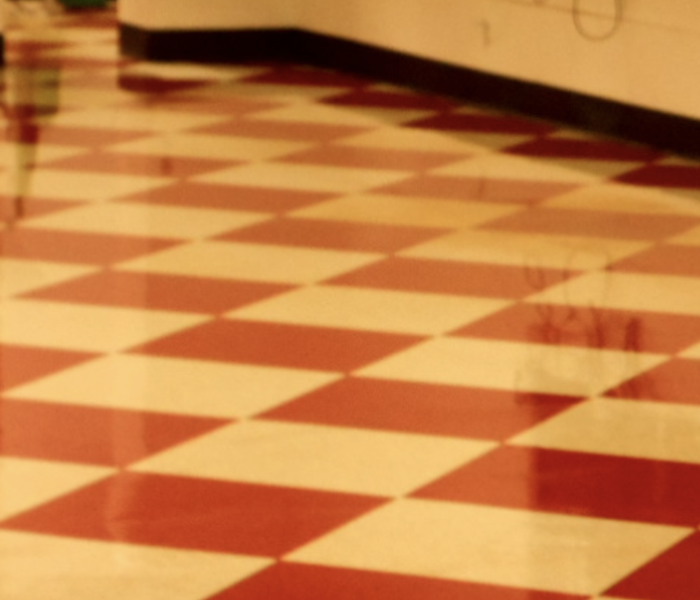 The floors were cleaned and a new coat was reapplied to make the floors look brand new. 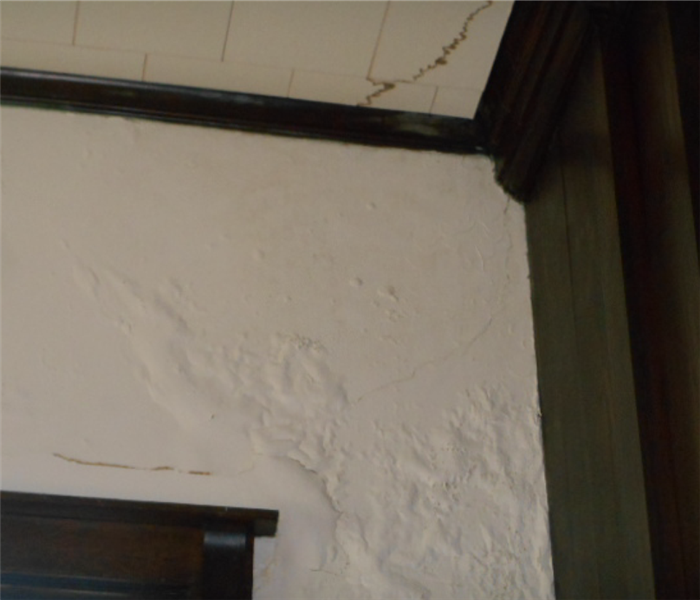 This wall suffered from mold damage. SERVPRO responded with cleaning solutions and techniques to remove the mold. The wall was cut out on both sides and replaced with new clean drywall. 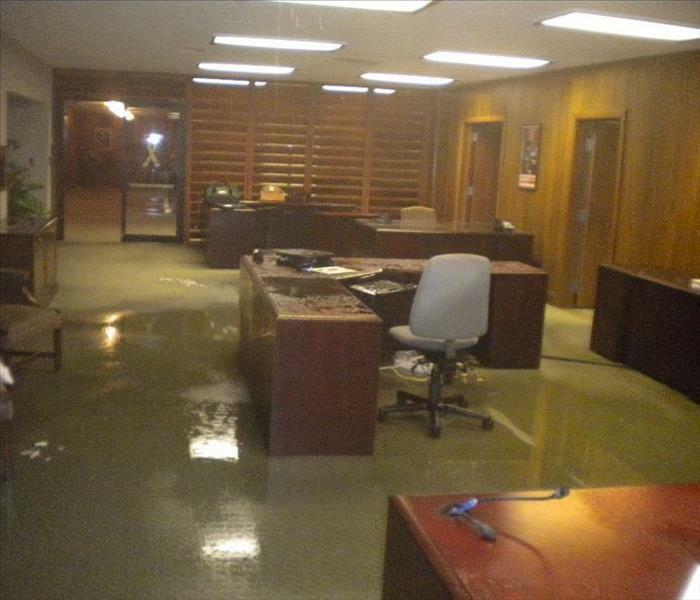 After a sever storm in the Jefferson County area brought 1 inch of water into this office's main work area. We were able to get to respond quickly and dry out the area to minimize secondary damage. 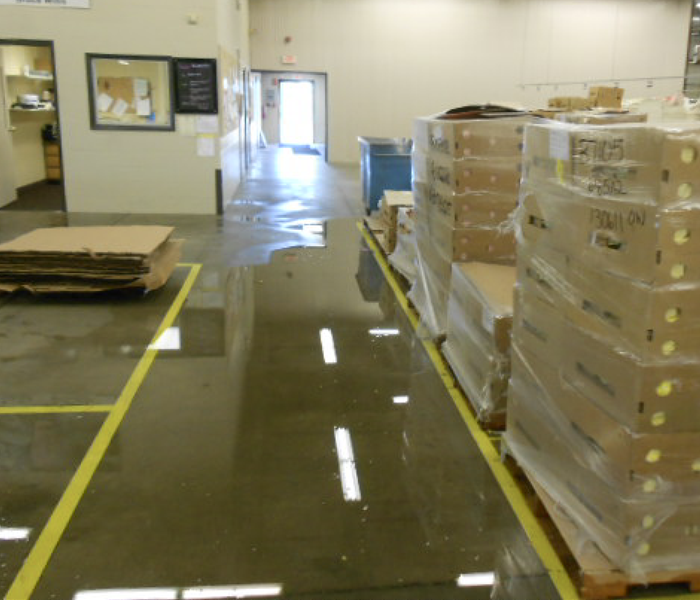 This large Jefferson County commercial warehouse space suffered water damage due to a faulty sprinkler system. 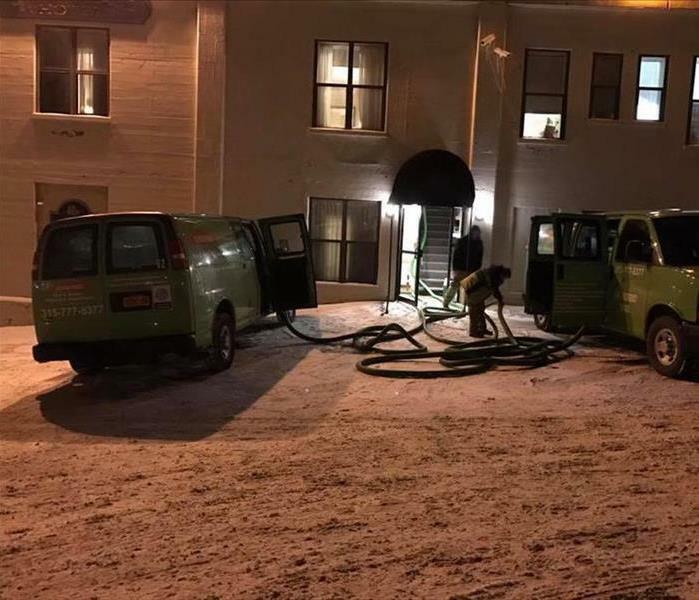 SERVPRO of Jefferson County was quick to respond and provide effective water mitigation services. There is not job to big for SERVPRO of Jefferson County. Mold can hide in many places, the bathroom linen closet is one of those places. 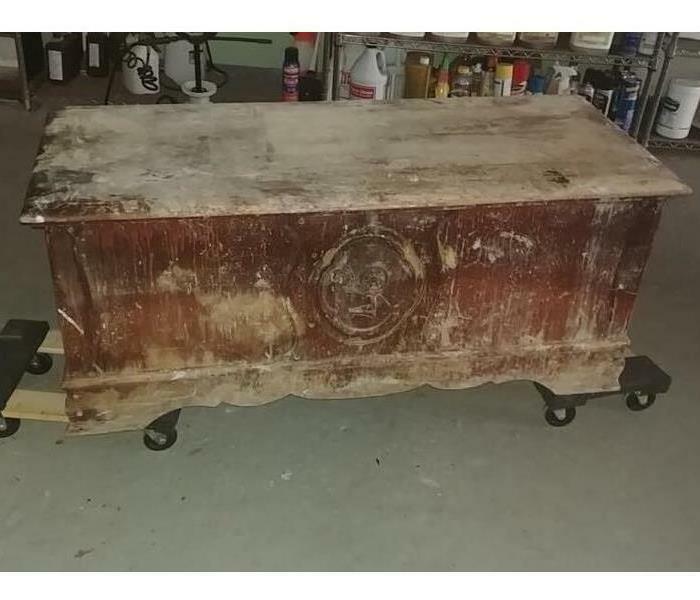 This mold was hiding in an unused closet in the bathroom. We were ale to remove it and restore the closet quickly. This head board is covered in soot from the fire in the home owners bathroom. 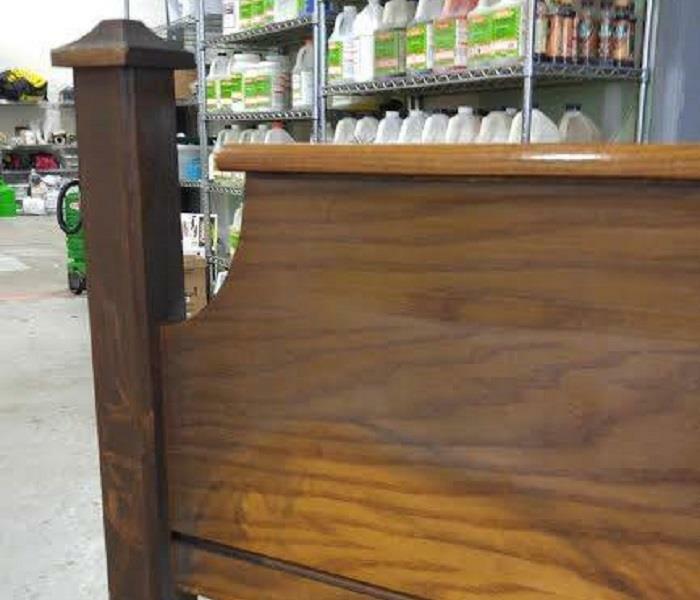 Good thing SERVPRO of Jefferson county has furniture restoration experts on their team. 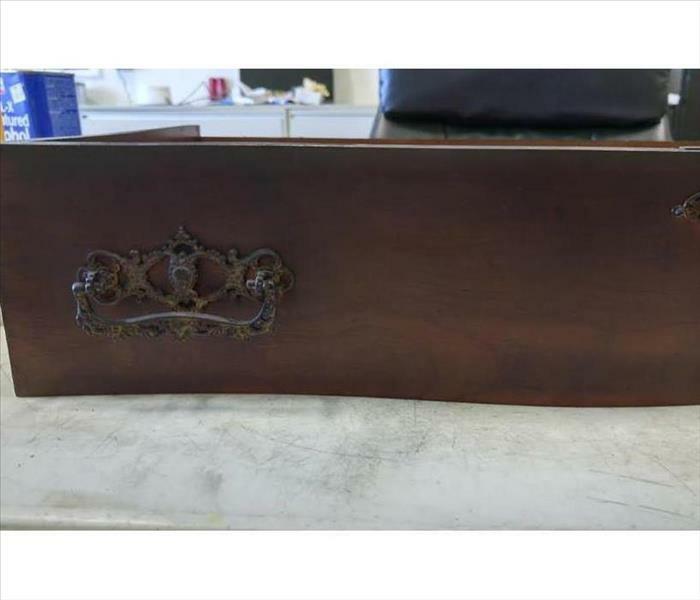 They will have this and other pieces damaged by the fire looking like new in no time. 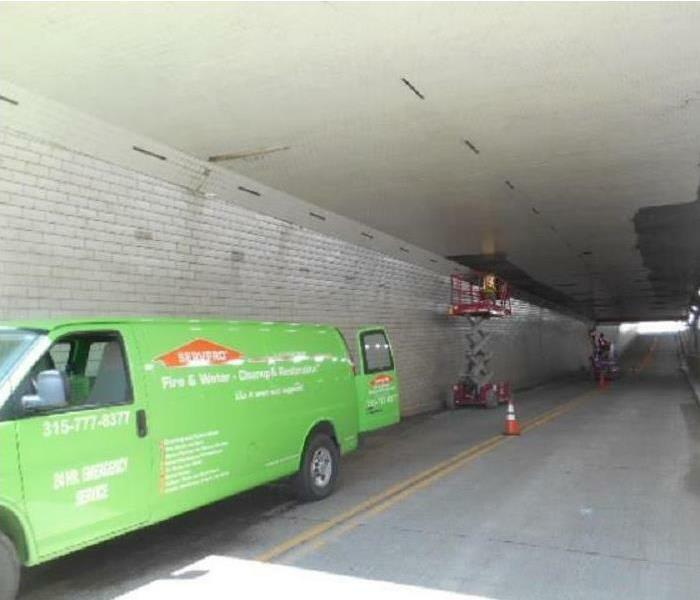 SERVPRO of Jefferson County can handle a job of any size! 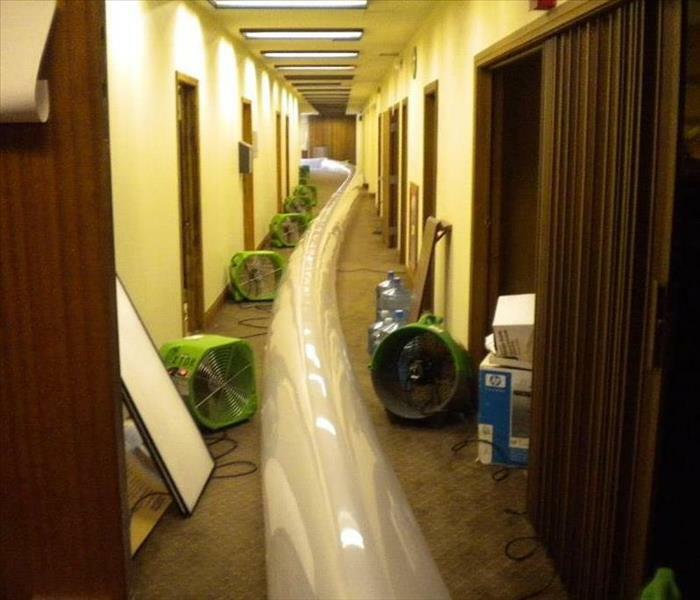 This commercial office space was in need of water mitigation after a pipe burst on the main level. The team was able to respond quickly and set up all the proper equipment to get the area dried quickly. 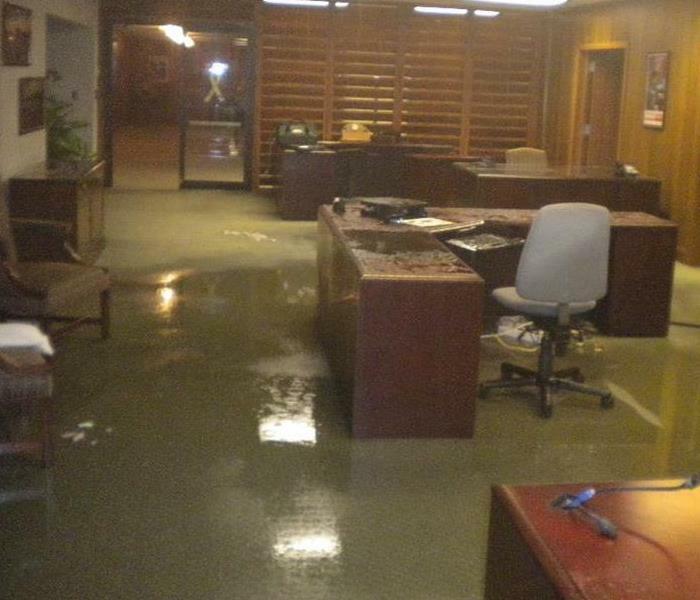 Heavy storms brought some flooding into the local businesses in Jefferson County. Luckily the local SERVPRO was able to jump in and get this water mitigated. They placed drying equipment and made sure to remove all damaged materials as well. Older buildings tend to have roof leaks when storms pass through. This older building experienced this and called SERVPRO of Jefferson County to clean up the mess left behind. The team was able to dry the area completely and get them back to business as usual. This Jefferson County public library was roughed up bu recent storms. They has water leaks in multiple areas of the building. 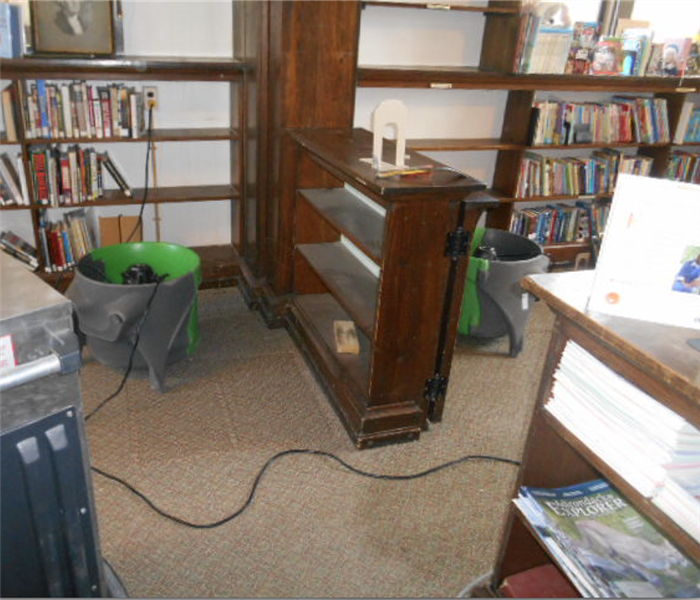 It was imperative the SERVPRO of Jefferson County dry the areas as quickly as possible to prevent the growth of mold. 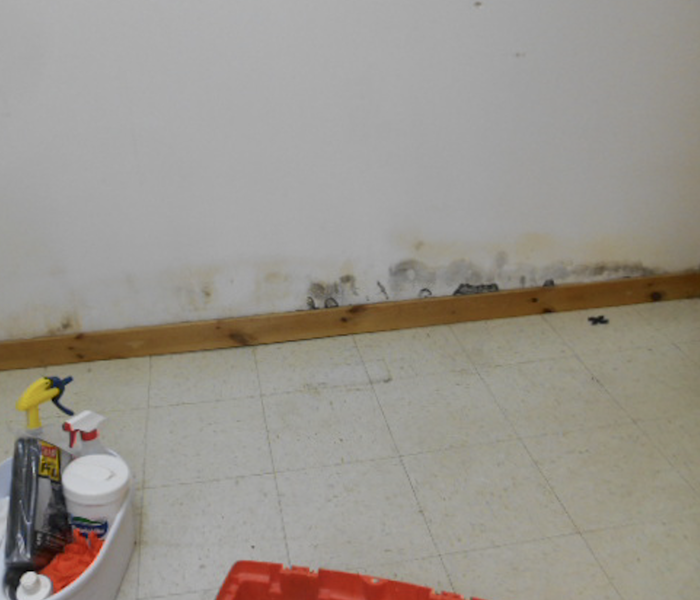 Remediating mold is a job for the professionals. SERVPRO of Jefferson County are trained experts in mold remediation. 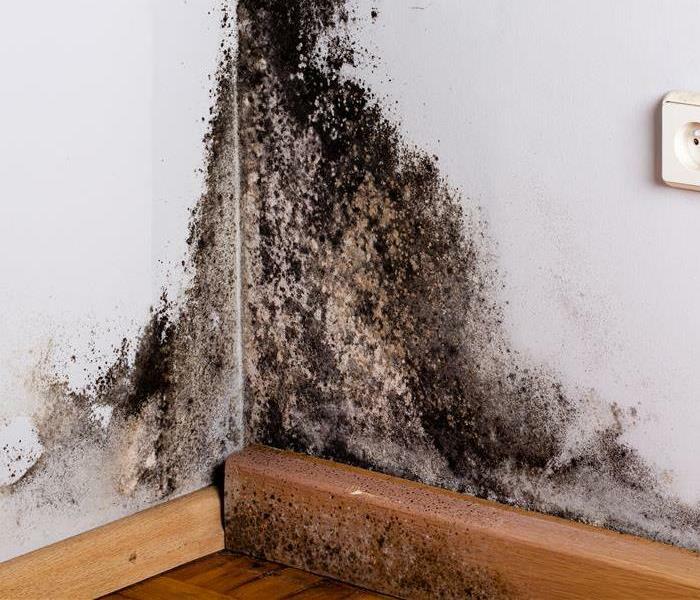 If you find mold in your Watertown home be sure to call the professionals at SERVPRO to help. This home was the victim of a small fire, and now has soot similar to this all over the ceiling and contents. SERVPRO of Jefferson County are experts at fire restoration, they will remove the soot and restore the damaged contents efficiently. The storms in the recent weeks have been treacherous. 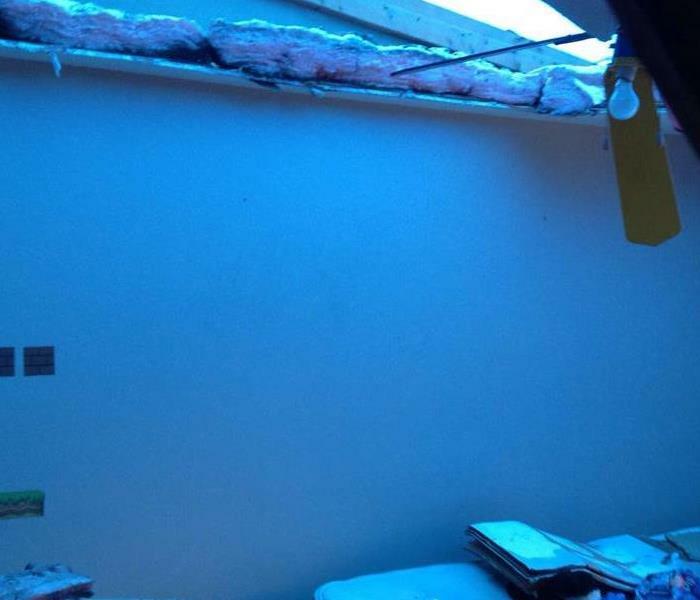 The roof of this home blew off and allowed water to rain down into their children's play room. SERVPRO of Jefferson County was able to get there quickly and cover the roof to avoid any additional damage. This home experienced some sever damage due to the recent storms in their area. SERVPRO of Jefferson County responded quickly and worked tirelessly to get the roof covered and the home dried out and restored as soon as possible. Mold was found growing on the interior wall. SERVPRO responded and followed special cleaning techniques to treat the area safely. 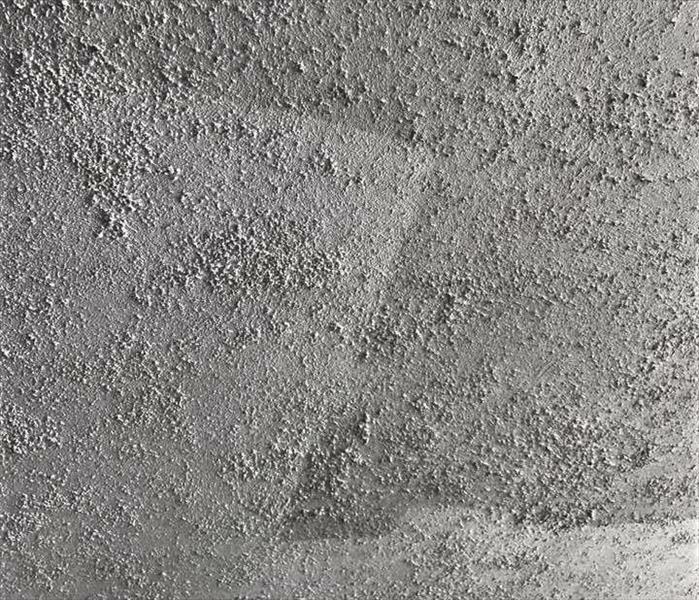 The mold was cut out to treat and replaced with new drywall. 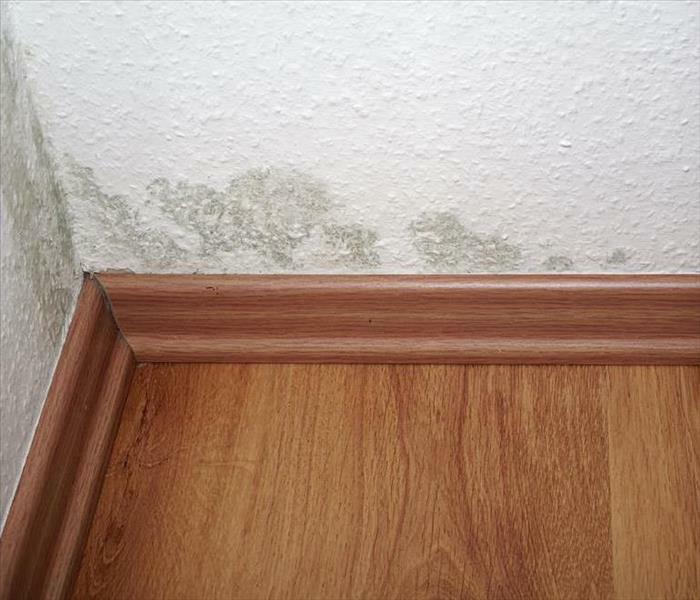 Mold can grow anywhere moisture or water is present. This commercial building suffered from mold damage on the ceiling after flooding. 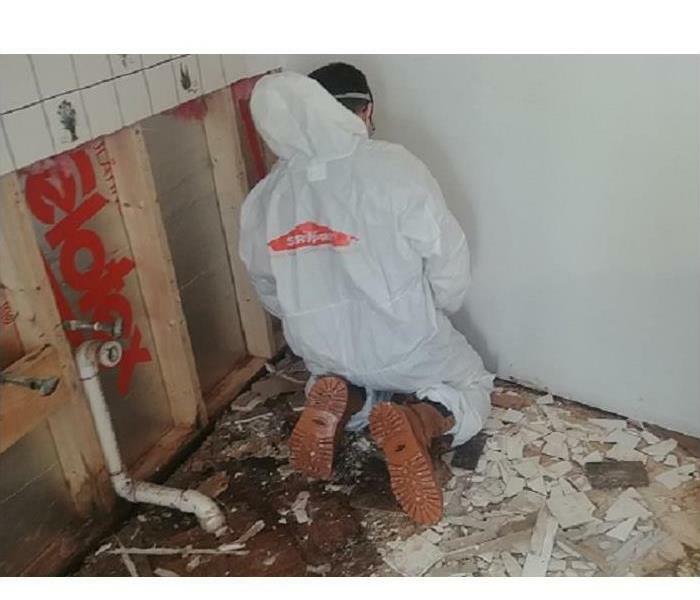 SERVPRO has technicians trained in mold remediation for your mold cleaning needs. This commercial kitchen suffered from a water loss. SERVPRO responded immediately to begin clean up. The air movers were put down to quickly dry the floors to get the doors back open for business. This home suffered from a water loss. There was a significant amount of water rising in the floor. The water spread throughout the area quickly. SERVPRO responded immediately to begin the clean up procedures. 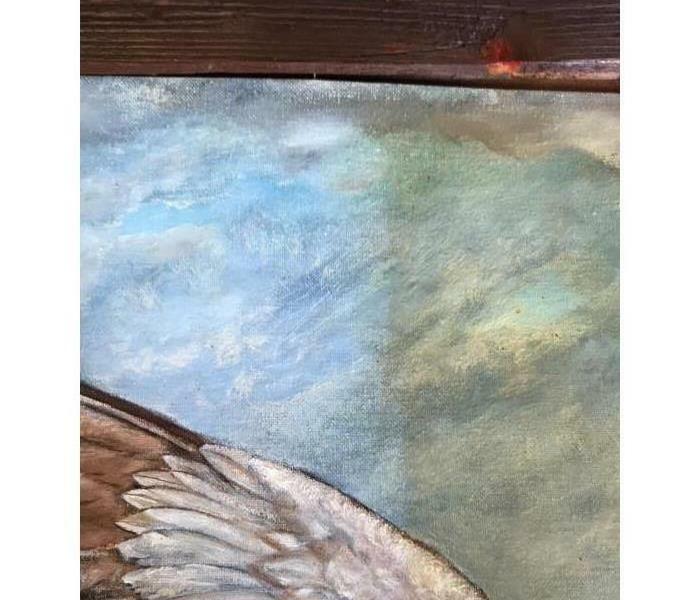 This business suffered from a pigeon infestation leaving feces and debris. The team responded and used special cleaning techniques and disinfectants to clean the area properly. Contact us for your animal infestation in your home or business. 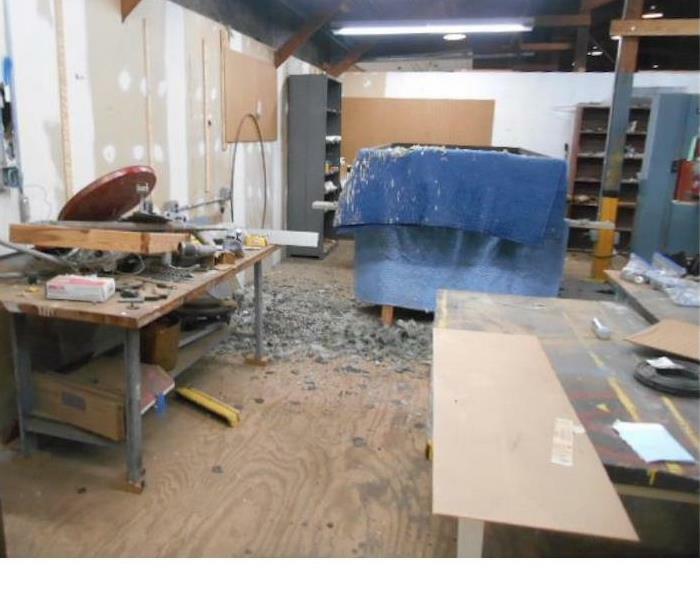 This office suffered from significant water loss after a pipe break. 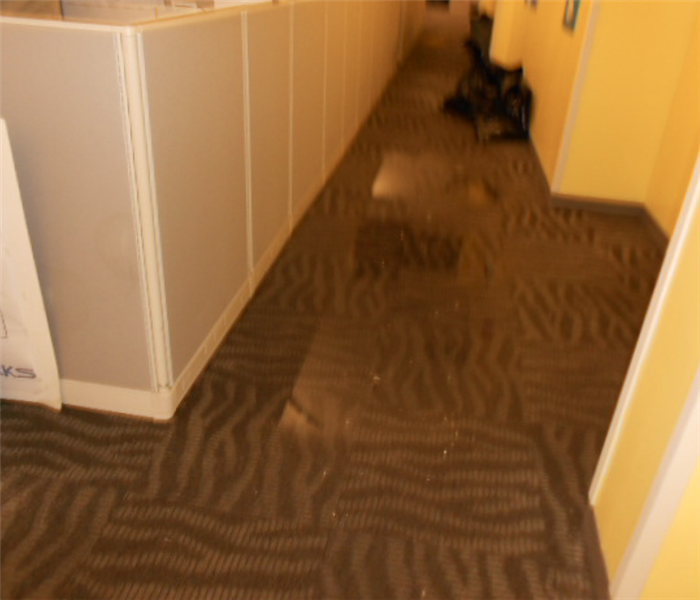 The water had spread throughout the other offices. SERVPRO responded and quickly began water mitigation. The office was dried quickly and restored back to pre water conditions. When your home has been damaged by fire, it isn't just the structure that suffers. Your personal belongings can be damaged as well. However, if your belongings are damaged, they may not be a total loss. Often, we can restore them. Contents is the word the insurance company uses to describe your personal belongings. When your contents are damaged during a fire, we can often restore them. If you have a fire, give us a call. 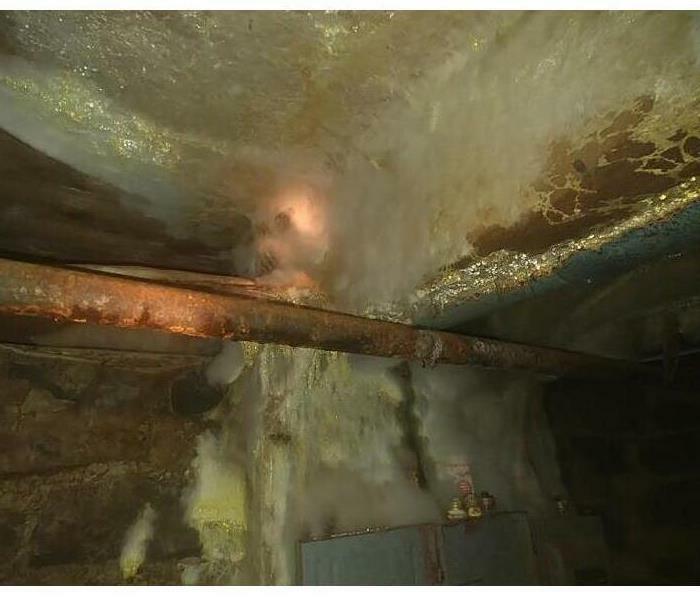 Our team was called to a home to handle the cleanup and repair after a severe mold loss. Among the contents that were damaged by mold was this chair. 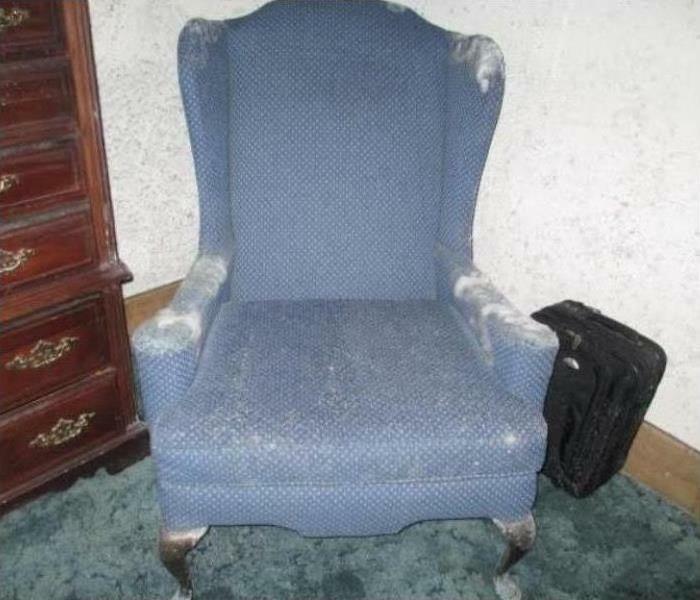 We were able to restore the home and this chair. "Contents" is the word insurance companies use to describe your personal belongings. If the contents of your home have been damaged by a water loss, we can most likely restore them. Just give us a call. This is a sight no homeowner would ever wish to see. You walk into the basement of your summer camp and find that the walls, ceiling and everything else is covered in mold! Luckily, we are here to help. After having the space tested by an industrial hygienist we can come in and get everything cleaned up. We are licensed to perform mold remediation in New York state. Keeping your carpets cleaned is one sure way to prolong their life. At SERVPRO, we not only repair your home or business after a disaster, but we also do carpet cleaning. If your carpet needs cleaning, give us a call! 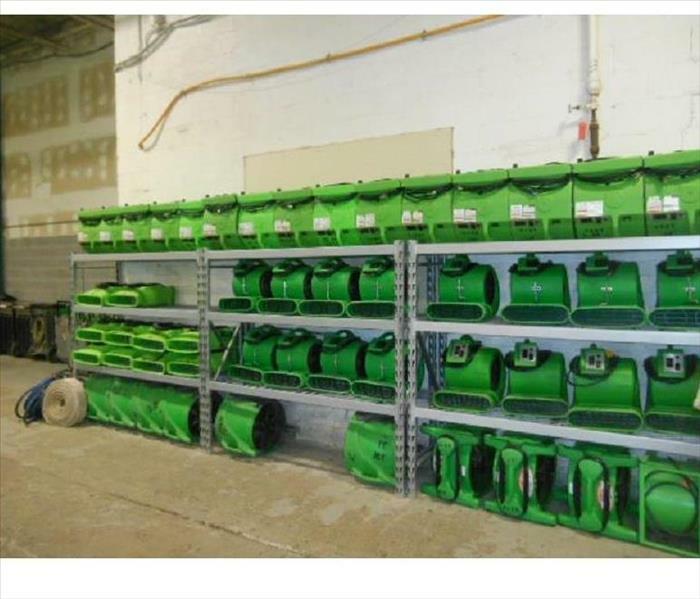 When you have storm damage, SERVPRO is always ready. We are available 24 hours a day, 7 days a week, 365 days a year to take you call. We are faster to any size disaster. After a car had a problem in the tunnel there was smoke all along the ceiling. The city gave us a call to have it cleaned. We were only happy to help! "Like it never even happened." It doesn't matter if you are a residential or commercial building we will provide service. 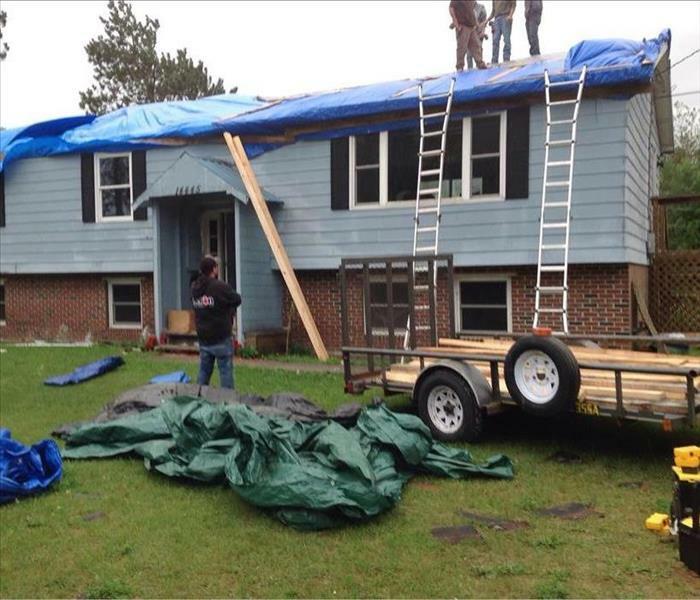 We understand that the disaster and restoration industry is 24hrs and 365 days on call. We are Here to Help. 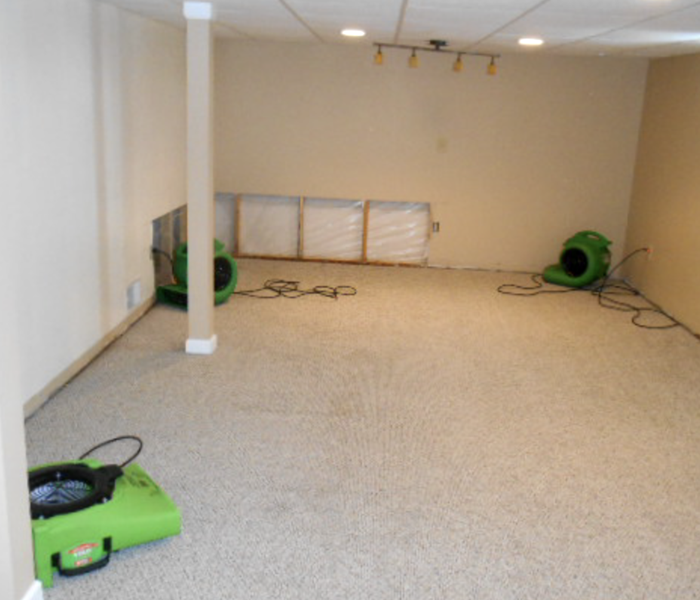 A flooded basement is not a problem for SERVPRO of Jefferson County. Our high powered truck mounts will have the water out in no time. Give us a call at (315) 777-8377 and we'll respond right away. 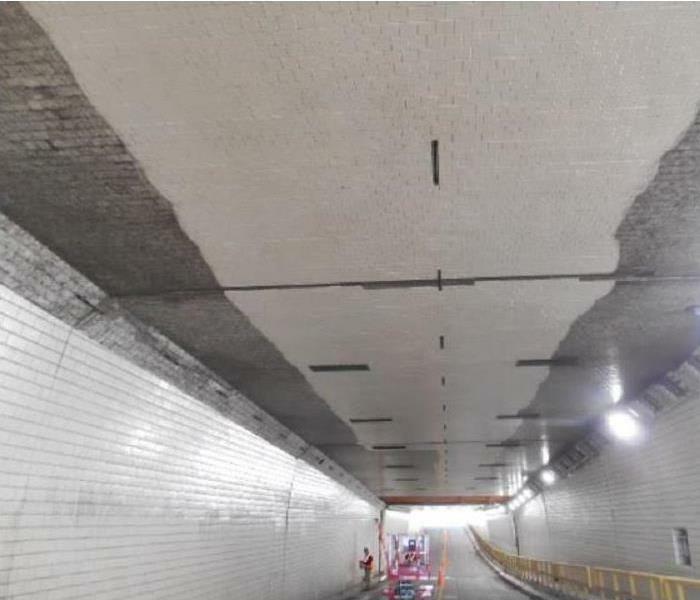 When there was a car fire in the Eisenhower Lock tunnel, the St. Lawrence Seaway Authority called in SERVPRO of Jefferson County to clean the soot off of the subway tiles! This older painting had a thick, stinky layer of nicotine and cigarette residue. 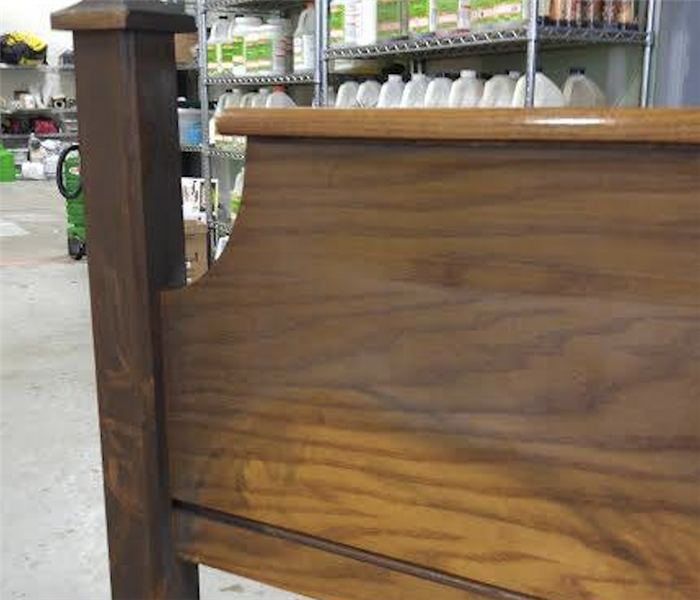 We were able to clean and restore the painting without harming it! 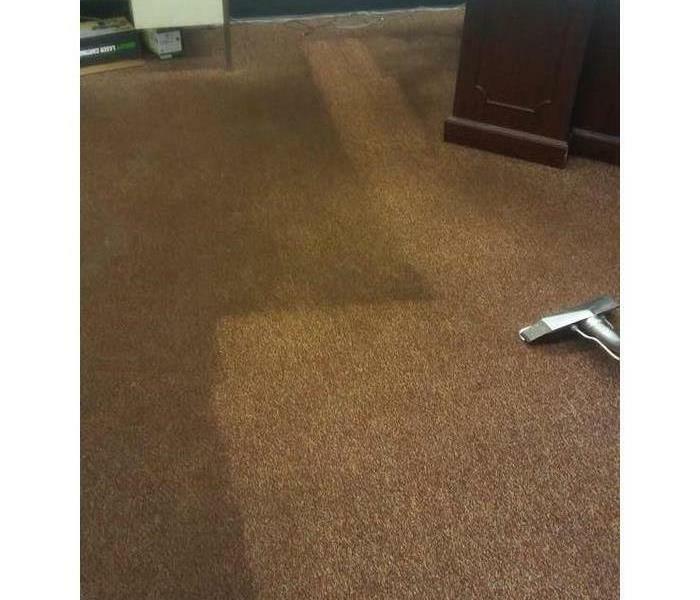 SERVPRO of Jefferson County can make it look "Like it never even happened." We can even make old and worn out carpets look great again! This office building really needed their carpets cleaned. They had been in business for over 20yrs without worrying about the carpets and believed they needed new ones. We saved them a lot of money by having them cleaned.